Programming is key to tyour vehicle's performance. Here at MStyle, with the latest programming equipment, we can perform various electronic upgrades. Software updates to your vehicle are a great way to keep it running better for longer. Multiple units such as the ECU, gearbox control unit (including SMG and DCT) or even audio/navigation modules can be updated with the latest software. The manufacturer releases these in order to ‘iron out’ inconsistencies in your production software. The end result? Better fuel economy, smoother gear changes, improved performance and last, but certainly not least, your increased driving pleasure! We highly recommend this as an option to preserve the longevity of your vehicle. Alternatively, we can carry out programming to improve the convenience of usability with your vehicle. Remote key fobs, electric folding mirrors, electric folding roofs, audible alarm notifications and much more so please call us on 0208 598 9115 for more info! Want to further enhance your performance or economy? 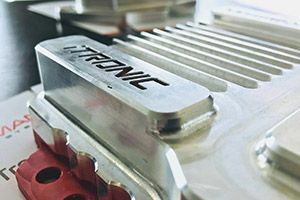 We have a variety of tuning upgrades available for various BMW models – whether it be the Plug & Play Powerizer from Remus, the iTronic from Mosselman or remapping your current ECU – there are plenty of options for you to choose from. Call us on 0208 598 9115, tell us your make and model, your desired outcomes and we will be happy to find the right product for you!